Enter your username or email address below and we will send you an email with your new password. Your website to online visitors is what your physical office is to walk-in visitors: a professional location that represents you and your company. Feel confident in your new professional website as it reflects the detail and care that goes into your company. It's your website, no carrier or anyone else owns it. We pull out all the stops when it comes to your website: your own domain, your own website, hosted and taken care of by us. Studies have shown most users will leave a website if it is too difficult to use and never come back. 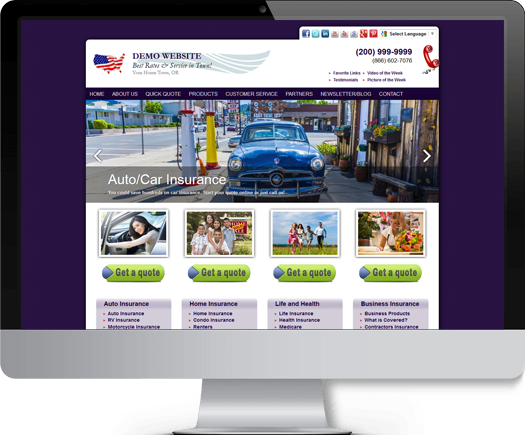 Rest assured, we have put much effort into making your website easy to use and friendly. The pages, articles and content on your website are professionally written and reviewed by private accountants, which are relevant and educational to your visitors. Let us take care of your website so you can dedicate your time towards tending to your business. Our packages are affordably priced and tailored to your company's needs. Websites by Accounting Relevance · Copyrights © 2012-2019 · All rights reserved.